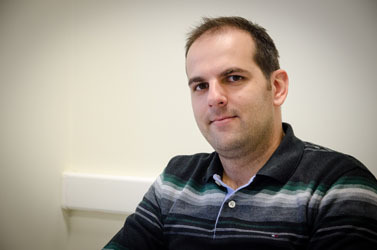 Yannis Pantazis received his PhD on Signal Processing from the University of Crete, Greece in 2010. From 2010 to 2015, he was a postdoctoral research associate at the University of Massachusetts, Amherst funded by various DOE grants. His research interest include Stochastic Processes, Dynamical Systems, Sensitivity Analysis, Uncertainty Quantification, Estimation Theory and Bioinformatics. Recently, he received the bronze medal (3rd place) on DARPA’s Forecasting Chikungunya Challenge.